Flag Display Case – Honor your country and its flag with pride by having a proper display case. Tilt Out Trash Bin – Even your trash bin receptacle can be a true handcrafted work of furnishing art. Floor Magazine Rack – Keep your books and magazines neat and organized in this elegant organizer. DVD Rack – Keep your family’s favorite DVDs and Blu-ray movies organized and easy to find for family movie night. Of course, that is just the start. You’ll be truly amazed at just how much we have to offer, which is what has helped make us the premier choice for Columbus, Ohio, home décor. One of the many reasons Amish Originals Furniture Co. has become such a popular destination for home furnishing is that we truly offer a furniture shopping experience like no other. If you haven’t yet shopped with us, you may not yet be aware of what exactly is involved when you visit us, but it should help explain how we have easily been in business for over two decades now. We work with over 70 Amish families in the Northeast Ohio region so we can offer our customers the best quality selection for home furnishings out there. Whether you want one accent table or an entire home full of furniture, we can help you find what you need. From there, you also get to choose the wood and the finish. 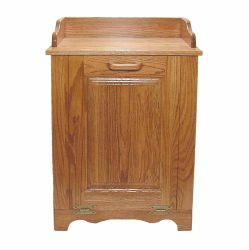 After you have made your selections, your pieces are handmade and built to order, using time honored hand building furniture techniques passed down through generations of Amish families. The pieces then become part of your home as well as your family. The furniture you get from Amish Originals Furniture Co. is of such high quality you will easily be able to pass it down for generations to come. We do what it takes to make our customers happy, including offering the best in customer service and competitive pricing. Stop by today and see what makes us the best choice for Columbus, Ohio, home décor and so much more. Find out just how enjoyable choosing your furniture down to the very last detail can really be.